The wiring of the RV-12’s fuselage is almost completed except for a couple of items that are pending such as the wiring for the control stick which is on hold until Oshkosh and of course there is the nav/strobe and landing light wiring to finish up. Frequent visitors may have noted quite a few days ago some of the lighting wires were pulled out of the connector to be replaced with shielded cable. When pealing back the insulation on the shielded cable purchased for the modification, it was instantly evident the wire purchased was very old because both the shield and inner wires were very oxidized. 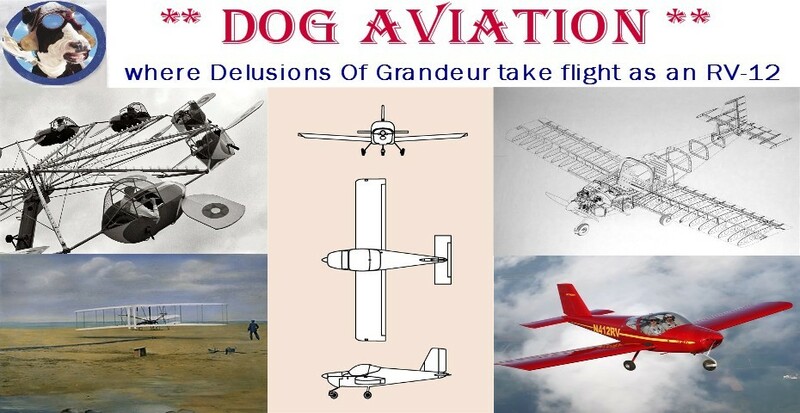 Partially to blame is the DOG Aviation procurement department which exercised due diligence in obtaining the best price possible for the mil-spec Tefzel two conductor 18 gauge shielded wire. This was one of those cases where you get what you pay for. Anyway, I couldn’t bring myself to install old wire so ordered new wire which just came in. Today the headset and mic jacks for the pilot were installed along with labeling the associated audio wiring. The same procedure was used to install the headset jacks as used on the co-pilot side … the insulating shoulder washers required being sanded down a little so the shoulders do not sit higher than the thickness of the seat pans. After tightening the mounting nut on the jack assembly, if the jacks can be twisted by hand from the underside of the floor pan with moderate pressure, the shoulder on the washer is still a little too high and requires a tad more sanding. Placing the insulating shoulder washesr on the threaded shafts of the headset jacks prior to installing the jacks up through the holes in the floor pans on the pilot side of the fuselage. Close up of the insulating shoulder washers (black) just under the floor pan. After installing the headset jacks it is a good idea to use a test meter to verify that the jacks are NOT shorted to the airframe and also not shorted to each other. Using the ohm meter to verify both the pilot side headset and mic jacks are not shorted to the airframe. The open circuit as indicated on the meter was measured between the jacks and the airframe … all is good. The next task which should have taken 10 minutes took more like an hour. The two wires for the cockpit light needed to be fished into the roll bar assembly and brought through a tiny wire grommet just big enough for the two wires. But first a 30 inch piece of 1/4" vinyl tubing is used as a wire run conduit to protect the wires once inside the roll bar. It seemed as though it would be easy to just push the wires through the 30 inch piece but here to tell you, due to my stubbornness, it turned into a time sucking abyss. What could be so hard right? Well the plastic insulation on the wire drags on the vinyl making the first foot fairly easy but after that it became a total struggle. After investing at least 15 minutes, I was not about to pull the wires out and use a small pull string or heavy thread as should have been done from the get go. It took a long time, but the wires were finally worked through the tubing. Slowly working the two cockpit lighting wires through the 1/4" piece of vinyl tubing. Unlike me, be smart and start off by using a pull string. A piece of solid wire was fished through the small wire grommet in the roll bar and run down the inside of the roll bar to the right side of the fuselage. A very thin piece of waxed cord was then pulled back through the wire grommet and the waxed cord was then used to pull the two wires and vinyl tubing up through the roll bar. The two cockpit light wires were pulled through the wire grommet in the roll bar using a thin waxed cord.